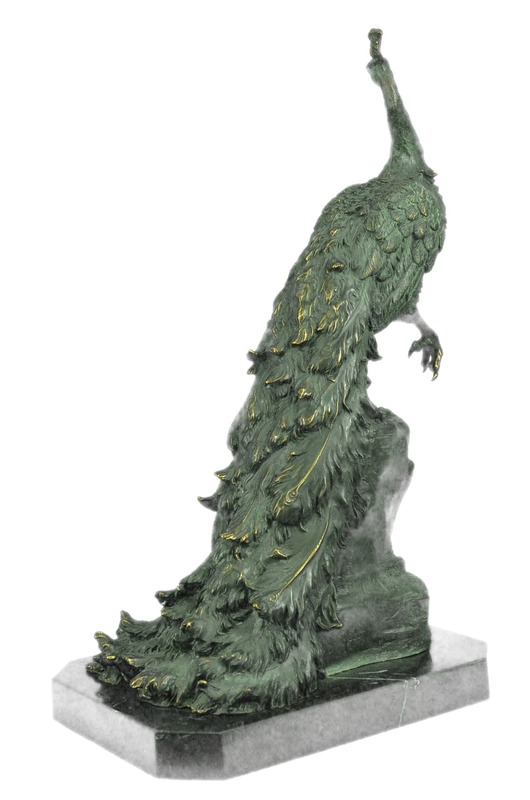 The Peacock Is A Symbol Of Egoism Because It Continually Struts Around Admiring His Own Beauty. The Peacock Is Also Associated With Lord Murugan. He Often Rides Atop A Peacock Suppressing It, Reminding Us Not To Let Pride And Egotism Get The Better Of Us. 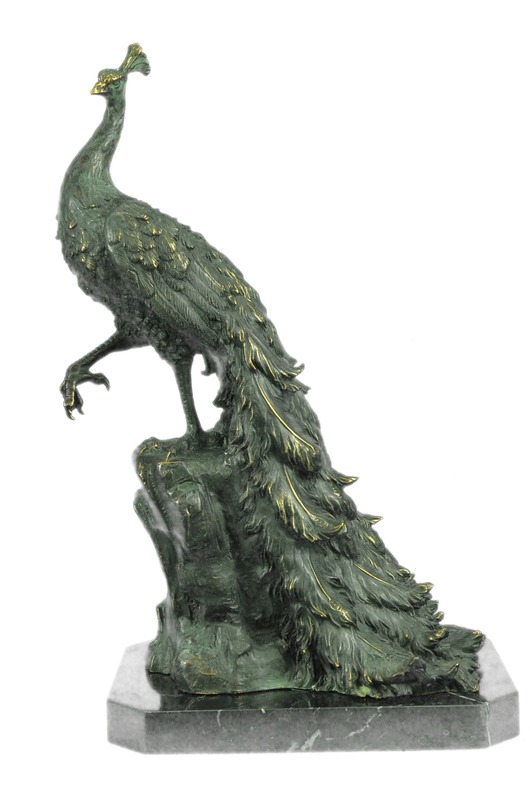 This Statue Shows The Peacock In A Different Light. The Peacock With His Long Slender Neck Bent Down Seems To Be Shielding His Face From On Lookers. He Looks Like He Is Reluctantly Displaying His Beautiful Tail. His Tail Is Raised Displaying A Beautiful Paisley Pattern Of Feathers As His Head Is Bowed Below Them. 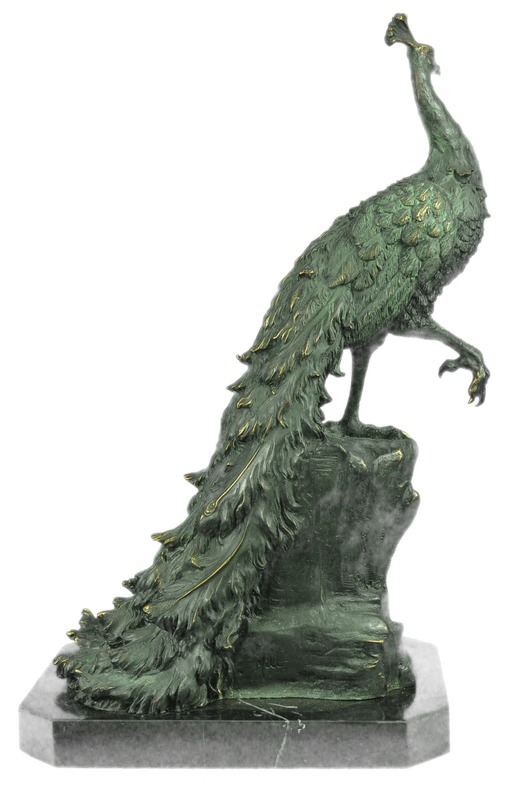 The Body Of The Peacock Is Hand Polished Giving The Body Of The Peacock A Dark Green Finish. 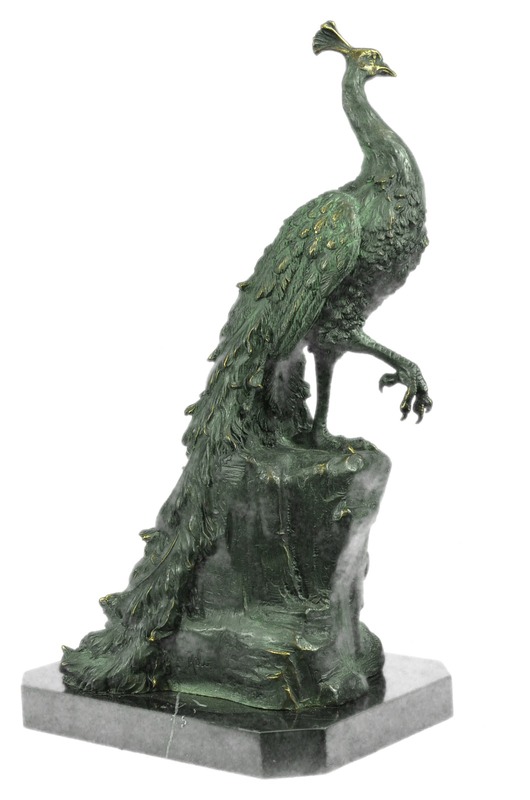 This Bronze Statue Is Handmade And Cast In The Traditional Lost Wax Casting Process. This Insures A Quality Bronze Sculpture That May Be Passed Down From Generation To Generation. 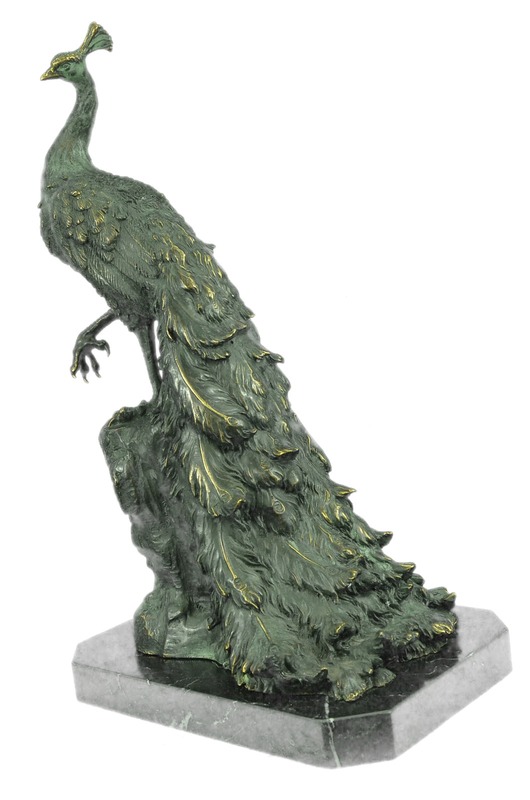 In Some Cultures, The Peacock Represents Dignity And Beauty. There Is No Mistake That There Is Beauty In This Bronze Statue And Is Signed Milo.